It's my turn to host the monthly challenge over at the Berry71Bleu blog! 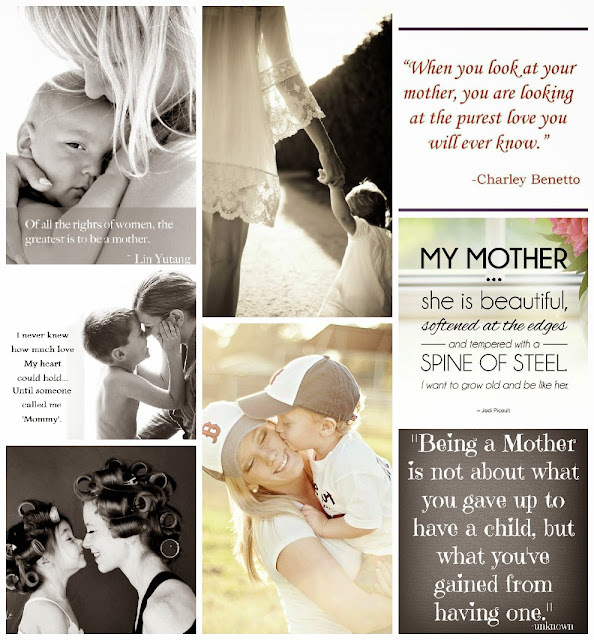 For this month I felt that mom & the concept of motherhood needed a well deserved tribute. In several parts of the world, including the United States, May is the month where we celebrate Mother's Day. With this in mind--the challenge for May is: All About Mom - Pay tribute to your own mom or create a project based on your own thoughts & feelings about being a mom. So here I am with my own little guy. He's my one & only & I can't even put into words how complete he made me once he came into this world. There's not one day that he doesn't make me smile or forget about my worries. All he has to do is hug me & all my stress is gone. I still find it amazing to see a little part of me running around--he's got my eyes, my sense of humor & my wit. He's a small version of me & he encourages me to stay young at heart & reminds me of the innocence of child hood on a daily basis. Being a mom is a very fulfilling emotion mixed in with anticipation--since I wonder daily about the man he's going to grow up to be--joy, love & a pinch of fear since I worry daily if I'll be equipped to get him adequately prepared for all the obstacles, ups & downs he'll encounter along this long journey we call 'Life'. The mood board was created with several thoughts & quotes on mom or motherhood along with photos that I felt represented the bond between a mother & child. As is customary with several of my layouts--I utilized several layers as part of the design. The layers are compromised of both designer papers & embellishments. I kept the design of the page fairly simple. I wanted to draw attention primarily to the photo of me & my son. All the papers used are from Authentique's Classique: Beauty collection. These papers are composed of primarily yellows, blacks & grays. I added a pop of color by mixing bright red colored flowers & embellishments. The butterflies are items from my Etsy shop. I felt that the sentiment 'You are my sunshine' was befitting for this layout. These square chipboard embellishments are by Um Wow Studio. They are one of our sponsors for the month of May & are generously offering up a prize to one lucky winner! I kept the chipboard in it's raw state since it combined nicely with the color scheme of my layout. Sometimes the paper itself make for the best sort of embellishments. To add a bit of dimension to my page I rolled up several pieces of left over scraps & randomly adhered them to the background of my layout. Thanks for stopping by! Make sure to head on over to the Berry71Bleu blog--the challenge is still going on. Play with us for the chance to win some fabulous prizes.